One of my favorite semi autos is a police trade-in Beretta 96G that I picked up many years ago, for those not familiar with the Beretta 96G it is the 40 Cal sibling to the Beretta 92 which is in 9mm. The example that I own has been carried a lot an shot very little prior to coming into my possession and while it is not the prettiest example it has remained my favorite plinking pistol and made me a fan of the Beretta line. 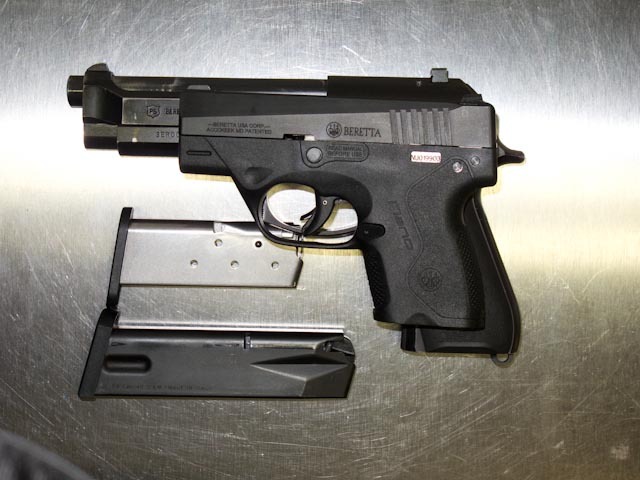 I was behind on my reading and hadn’t read about the release of the Beretta Nano when I happened to be browsing in local gun shop and encountered an example. I quickly fell in love with the ergonomics and features and put it at the top of my future acquisitions list. 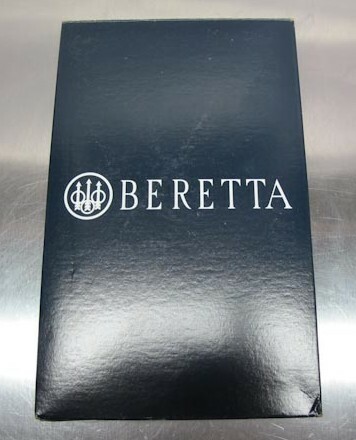 The pistol arrives from Beretta in a cardboard box which contains a plastic container. 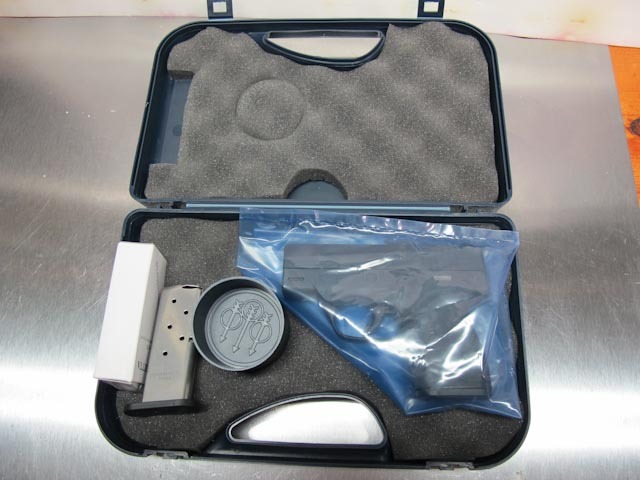 Beretta provides a nice plastic box which in addition to the pistol are two (2) 6 round magazines, a cable lock, a parts cup to keep track of items when performing a deep breakdown and a very good manual (manual not shown). One of the features I like on the Beretta Nano is the lack of protrusions, no breakdown lever, slide release or safety and all of the corners are rounded. 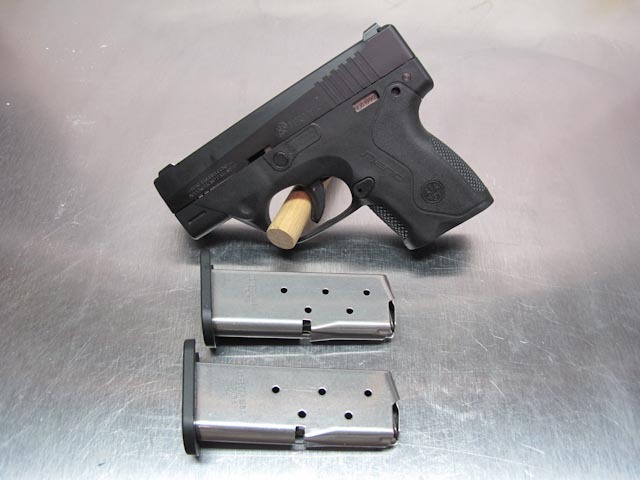 This to me was an advantage over the Ruger LC9 which is just to busy for me. 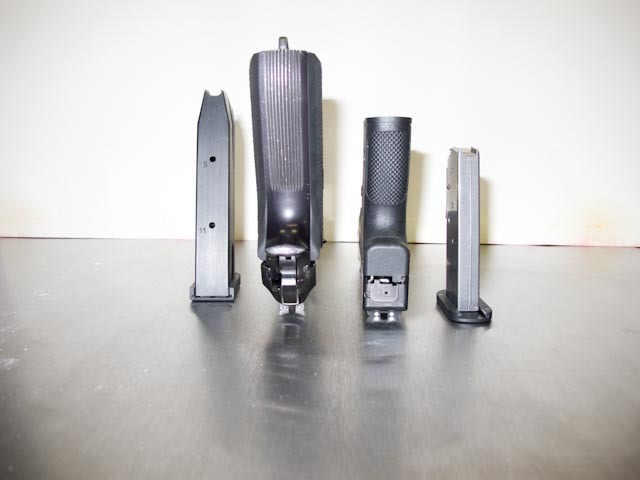 Out of the box the steel sights present a good three dot view and with a quick twist of the three inset allen screws they are easily adjustable or can be swapped out. With just three moving parts the internals are a terrific example of just how simple a semi-auto can be. 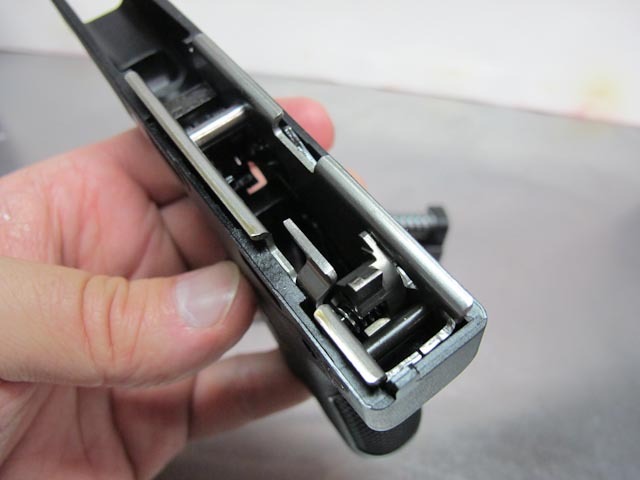 Shown here next to the fixed ejector is the combination sear and firing pin safety release lever, this and the trigger and trigger transfer bar plus a couple of springs comprise the grand sum of parts in the fire control path. I wear a XXL glove so I am at the upper end of the size range and with a pocket holster I have no difficulty stowing the Nano in a front pocket. 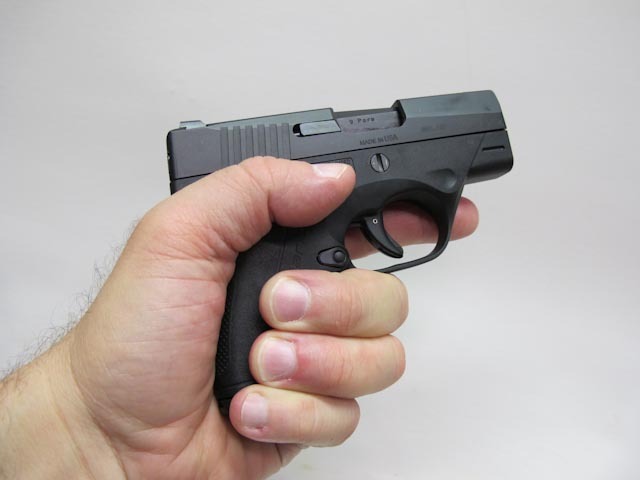 The grip is comfortable with a solid two finger engagement and the extended trigger guard accommodates my large hand very well. 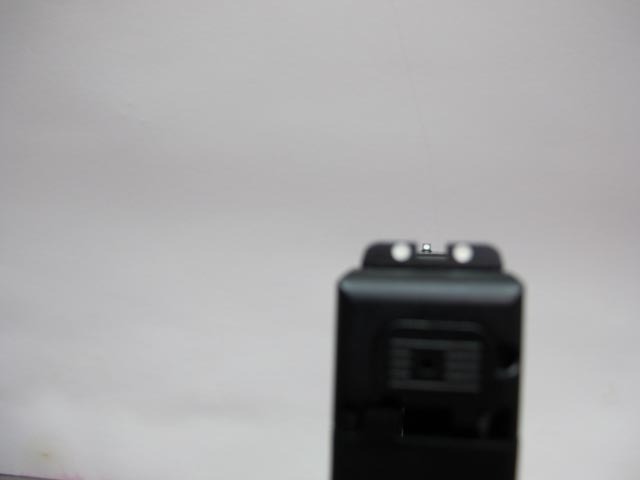 To give you a sense of the overall size relative to a full size pistol, here is the Nano laid on top of a Beretta 96G. 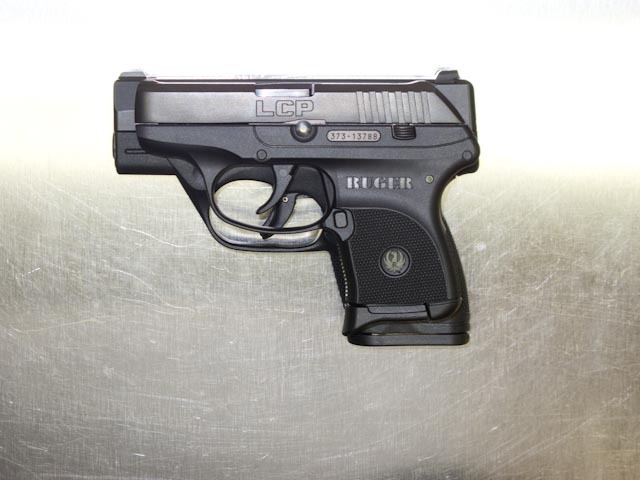 Here is a comparison of a Ruger LCP laid over the Nano, not a huge increase in size relative to the upgrade from a 380 caliber to 9mm. The weather has cooled down enough to get out an shoot the Nano a bit and here are my initial impressions. 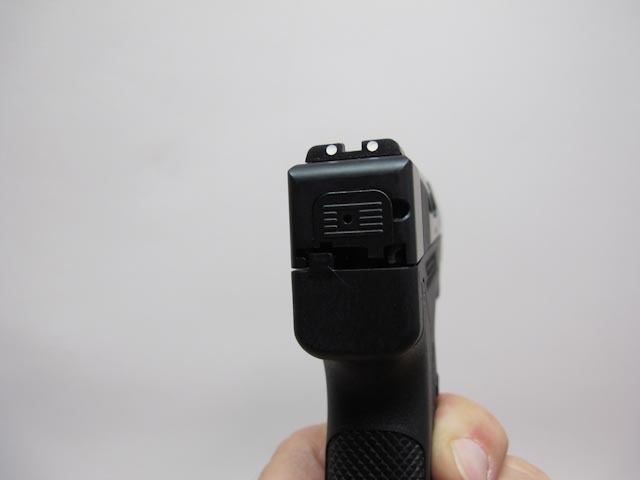 As the Nano has a dual action only trigger no surprise by the long and firm pull which ends with a sharp break. The recoil with Federal FMJ target loads is completely reasonable given the mass of the Nano and that most of it reciprocates when firing. 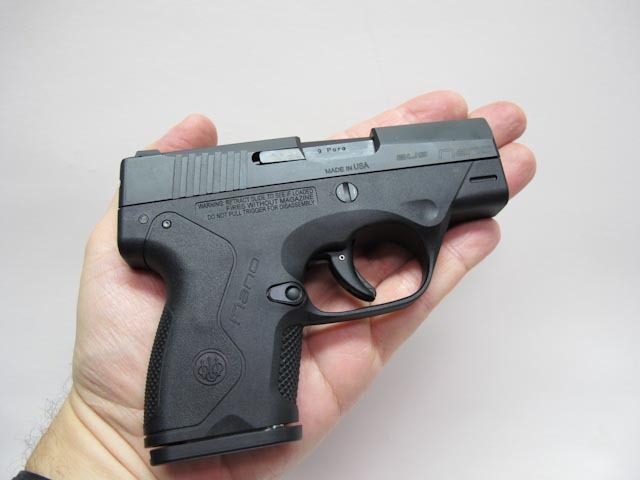 And other than the firm trigger which I am a fan of in a self defense pistol the only hesitation I would have of putting 100’s of rounds through the Nano in a single session is the reloading time, it is a very comfortable pistol to operate. 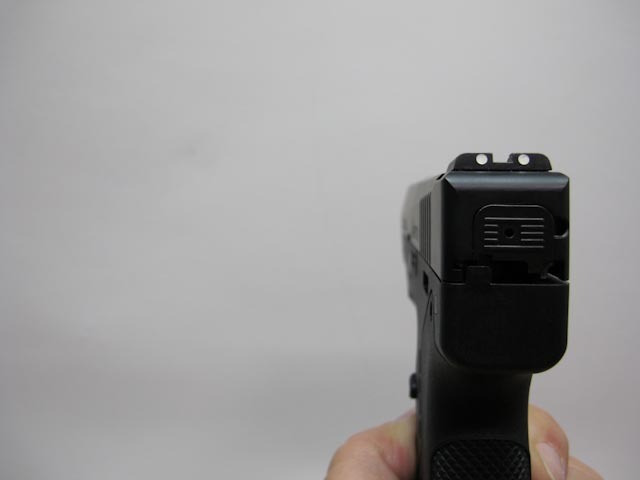 Before purchasing the Nano I had read some reviews which indicated that the pistol would double feed or fail to extract, and while I only have 70 or so rounds through the pistol I have not had any such feeding problems. And based on the pile of brass on the tarp I use to catch brass the ejection seems to be rather consistent with the brass falling into a smallish area to the right and behind the shooter.